Running a business is no easy task. From hiring and paying employees, to calculating and reporting payroll taxes and knowing all of the federal, state, and local labor laws that affect your business, it can seem overwhelming, especially when you are running a small business and don’t have a management team to handle everything. That’s why we’ve put together The Complete Guide to Small Business Payroll that will help you with what you need to know. 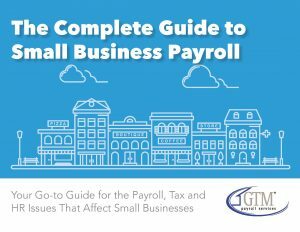 Enter your information in the form below to receive this free guide for the payroll, tax, and HR issues that affect small businesses.